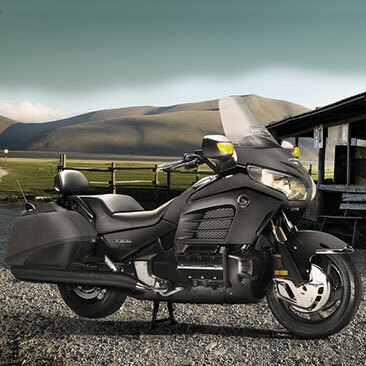 The Goldwing F6B is the lighter, trimmer and leaner member of the Goldwing family while still offering plenty of storage capacity and performance, along with many of the Goldwing's comfort and luxury features. The F6B offers an unbeatable combination of cool credibility and useful practicality. Development to produce a nimble-feeling, agile bike that would be comfortable to use on a congested city street but fun on a winding road and of course perform on the open highway. 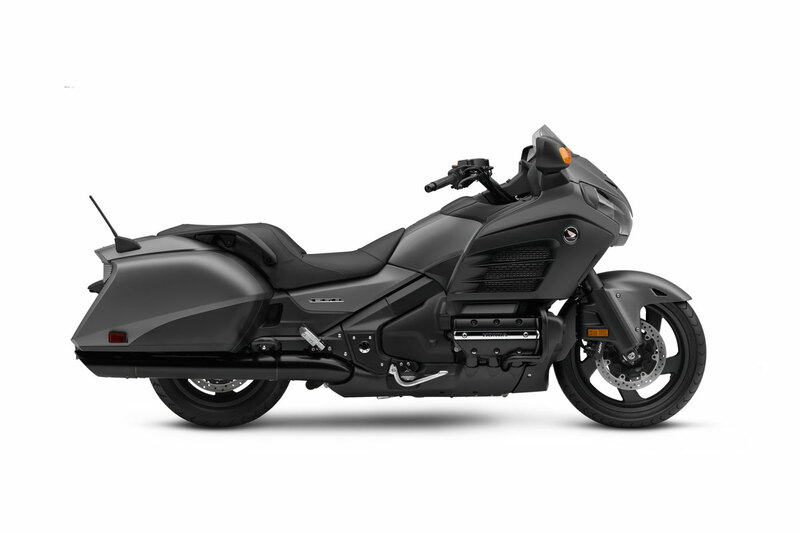 It's the style of the Goldwing F6B that initially grabs attention; minus the rear top box and with its shorter screen, the long, low touring machine flows fluidly from front to rear. The lightweight, twin-spar aluminum frame provides strength and is aided by the engine's low centre of gravity to create a chassis that boasts great-handling at all speeds. A Dual Combined Anti-Lock Braking System (ABS) ensures the Goldwing F6B will ensure rapid and secure stopping power on all road surfaces and conditions. Now with the added features of electronic reverse and cruise control, its a remarkable piece of machinery. Storage space is provided by the lockable twin rear bags and a cubbyhole in the centre console ensuring the Goldwing F6B is more than capable of taking both rider and pillion on a highway adventure. With a fuel capacity is 25 litres, including 4.4 litres warning light reserve, the open road is yours for the taking. Through careful design, the minimal fairing and a shorter screen still offers weather protection while larger circular meters, with LCD indicators underneath, provide relevant information in an easy-to-read format.